Source: Muhlestein, D. (2015, January 29). 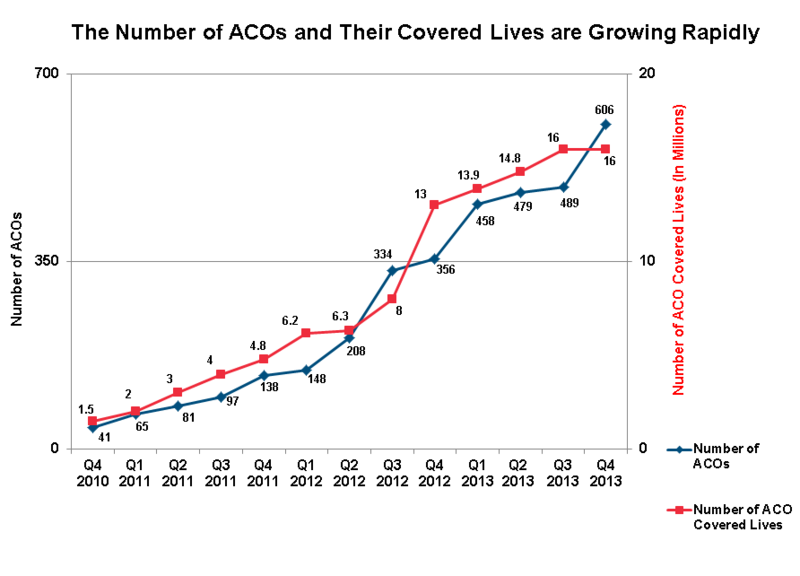 Accountable Care Growth In 2014: A Look Ahead. Retrieved March 19, 2015. Entry filed under: Accountable care, Comparative Effectiveness Data, Healthcare Economics, Healthcare innovation, Healthcare Policy, Healthcare Reform, Hospital Care. Tags: Accountable Care Organizations, ACO, ACOs, benefit design, care decisions, changing patient volume, comparative effectiveness research, compensation, coverage, health plans, healthcare, healthcare economics, healthcare reform, hospitals.